evangelizing the (digital) natives : Leapfrog Learning Path for iOS Answers the Question: "What Do I Do With My Kid?" 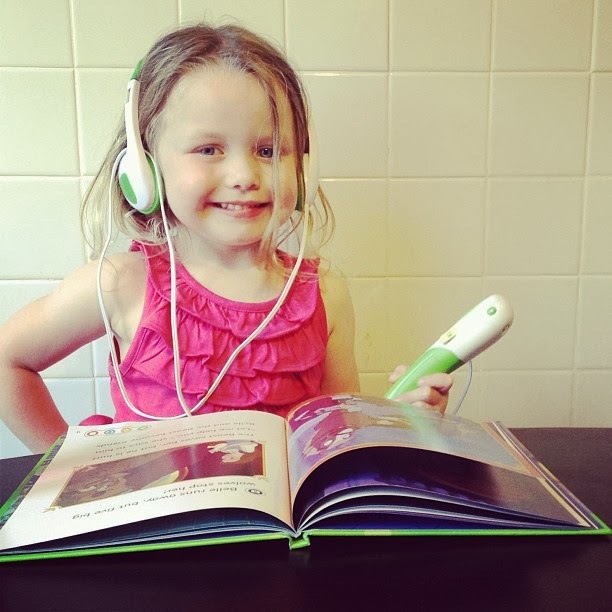 Leapfrog Learning Path for iOS Answers the Question: "What Do I Do With My Kid?" Increasing fathers' investment and proactivity (including my own) in their children's learning is on my mind this week. Is my kid bright, on target, or a little behind? Is he supposed to be able to do that yet? Is it normal that he isn't ________ yet? What can I be doing to help my kid learn? I trust that my wife has a better handle on these questions than most, and the support we get from Parents as Teachers, and my son's speech and occupational therapist fills in most of the gaps for her, but when I get home at the end of my day teaching teenagers, I often feel at a loss for what I need to be doing with my own children, ages 4, 2, and infant. I'm trying to support her efforts as we homeschool preschool and give my kids quality/quantity time in the evening, but when my mind goes to "educational" activities, I often get stuck. I don't think the culture helps parents much on this topic beyond, "Read a book." Got that one covered, guys. 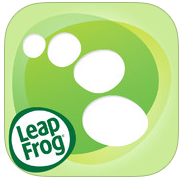 So, to the busy parent that still wants to direct their children's learning, I offer the Leapfrog Learning Path app for iOS. If you have a LeapFrog Learning Pad, Leapster, or Tag Reader at your house, you probably already have a LeapFrog account that has been tracking your children through the LeapFrog Connect software you use to load content to the devices. The what's new tab highlights activities, tips, and printables that are age appropriate and feature the LeapFrog characters your kids are already familiar with. What should I do today with the kids?" gets answered on this page. Play a game, color a page together, read a book, etc. This Pinterest/Google+ style board makes you feel right at home. If you're in Parents as Teachers or an Early Ed program, you'll get a lot of this information from your child's teacher, but at least for us, it's a paper handout she brings along, and then, what? Am I supposed to file that away in a binder or something? 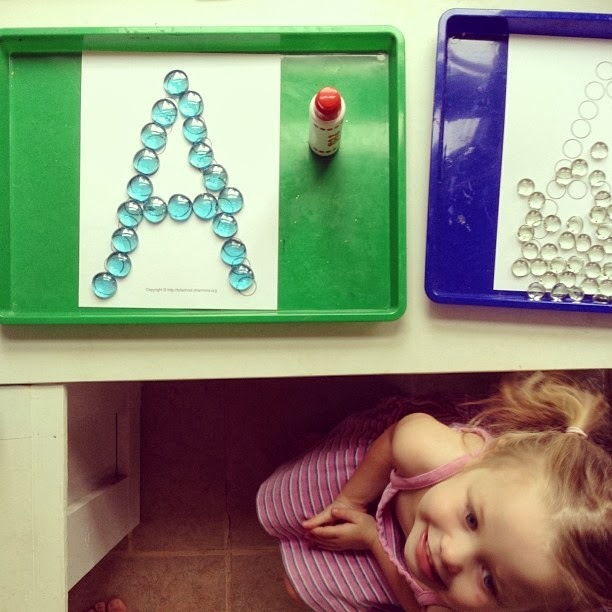 It has enough competition on the fridge from magnetic letters and art projects. Informational paper doesn't last long around here. Different kids develop different skills at different rates. We all know that. But there's always at least a kernel in the back of your mind wondering what else you can be doing to try and get them ahead/catch them up. I told the app that my son was "not yet" there on one of the goals listed for 2 year olds, and it gave me a strategy to try myself, and a (surprise!) LeapFrog branded toy to support my efforts. Is this ultimately a marketing tool is get you to spend more money on LeapFrog products? Probably. But a friend made an interesting point about companies and profits last week - if the company provides me with a service that I really enjoy and am willing to pay for to use it, are they "evil" for profiting from the exchange? Take LeapFrog Learning Path for what it can be for you, the involved (or seeking to be involved) parent-educator: a tool to assess your child's growth, resource for activities, and instructional guide for how best to integrate all of those LeapFrog toys you're buying anyway.